On Saturday night, Philly super middleweight contender Jesse Hart, 23-1, 19 KOs, will fight in his hometown for the first time since his unsuccessful but impressive attempt to wrest the WBO world 168-pound championship from Gilberto Ramirez last September. 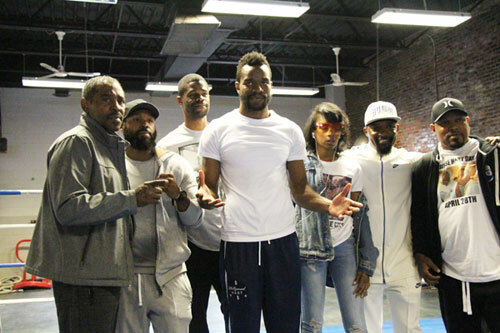 Hart’s homecoming comes against Laurel, Maryland’s Demond Nicholson, 18-2-1, 17 KOs, in the biggest boxing show to hit the City of Brotherly Love in quite some time. The nine-bout card promoted by Top Rank and Peltz Boxing at the Liacouras Center on Temple University’s North Philly campus, features a WBO world junior featherweight title bout between champ Jesse Magdaleno of Las Vegas and Isaac Dogboe of Ghana, as well as an all-Philly heavyweight showdown for the PA state championship between North Philly’s Bryant Jennings and Tacony’s Joey Dawejko. Jesse Hart fights in between these two bouts. The trio of fights will be broadcast live on ESPN. The last time Hart fought here in 2016, he won a harder-than-expected heart-stopper against Dashon Johnson in South Philly. Although the lively brawl won “Philly Fight of the Year” honors, Hart drew some criticism from fans and his legendary father, former middleweight monster Eugene “Cyclone” Hart, for his reckless performance. As Jesse approached Saturday’s meeting with Nicholson, he appeared to be in phenomenal physical condition – lean and cut, more so than ever before. However, three additional topics besides Nicholson, seemed to be on his mind as well - his title fight with Ramirez, that brawl with Johnson, and keeping his family legacy in good standing. HOW ARE YOU FEELING ABOUT THIS FIGHT? They got me in absolutely perfect condition. It’s all about me now. It’s about my mind. It’s about my attitude going into that fight. 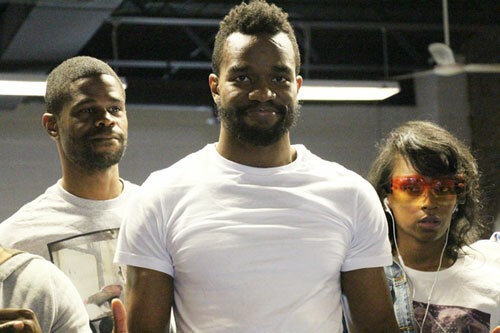 Demond Nicholson is a good fighter. I can’t take nothing away from him, but I want to perform and be great. You have good fighters and you have great fighters. DID YOU WORK ON ANYTHING NEW FOR THIS FIGHT? We’re working on a lot of mental things with me. I can’t get away from my game plan. Last time I fought here (against Dashon Johnson) I got caught up in that crowd. DO YOU THINK THAT FIGHT HURT YOU IN ANY WAY? I’ve been tarnished. My name’s been tarnished because of who my father is. Sometimes people say, ‘oh, he’s not as good as his dad. He doesn’t have as much heart as his dad’. Sometimes I want to show them that I have enough heart and that I can be in a knock-down-drag-out fight. I can get knocked down and I can prevail. He may push me to that again. I don’t know, but I want to let people know that my heart is there. That should never be in question. WHAT DID YOUR TITLE FIGHT PROVE ABOUT YOU? I think I showed that I am a real fighter. I think I showed that I’m a different fighter than the rest. It felt good. All the adulation I received after the performance, after the fight. People thought I was going to be a sore loser; that I was going to lose my head. But everything I said, I think I said it right. That showed growth I believe. I look at all that, and that’s character. I’m still building character, but in that title fight I showed a lot of character. DO YOU THINK YOUR STOCK WENT UP EVEN THOUGH YOU LOST? I don’t look at that like a loss. I always look at things like that as a lesson. That’s what I learned. 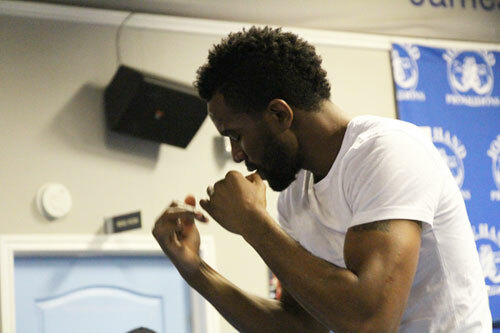 My trainer Fred Jenkins took my mind to a different place. I’ve grown, but I’ve grown because of my Dad. Before, my Dad never gave me acknowledgement about being a good fighter. But that night, he gave me my acknowledgement; he gave me my respect. HOW IMPORTANT IS THAT RESPECT? The Hart last name - that’s what I’m trying to prove, not only to myself, but to the world, that I can carry the Hart name on my back. That’s what I’m out to do. Boxing is deep in my family roots. All my uncles boxed, but my Dad took it the furthest. That’s the goal, to take it further than my Dad did. DO YOU LIKE THAT YOU’RE FIGHTING AT HOME AGAIN? It means everything. This is my backyard. North Philly. I’m not from West Philly. I’m not from South Philly. I’m North Philly, the hardest part of Philly. To see all these faces, to see my Mom, my Dad, cousins, all my family. I’m really taking it in now. What can I say? We know who the main event really is. I don’t want to get ahead of myself, but I think the show is great. 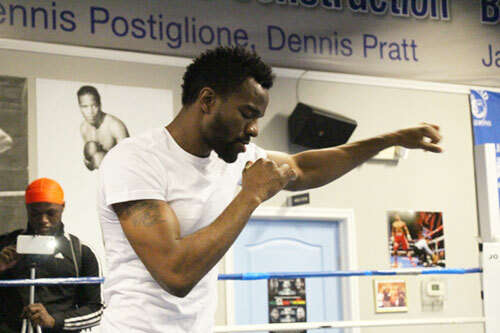 Bryant Jennings and Joey Dawejko is a great match-up, but a lot of people want to see Jesse Hart. They want to see how I grew from the Ramirez fight. HOW DO YOU EXPECT THE FIGHT TO GO? I’m extremely focused. My mindset is on destroying Demond. That’s the terminology we came up with in the gym. That was the mindset, and that’s what they put on the chalkboard every day. Destroy Demond. I wish the best for him after this fight, but that’s my mindset. I’m not playing tricks on the crowd. I’m not going to let my mind get razzle-dazzled. It’s going to be straight business. I’m going straight in there. Besides the three nationally televised fights, six other bouts round out the live show at the Liacouras Center, including a scheduled six round bantamweight match featuring local Christian Carto, 14-0, 11 KOs, against Edwin Rodriguez of Puerto Rico, 9-4, 5 KOs. 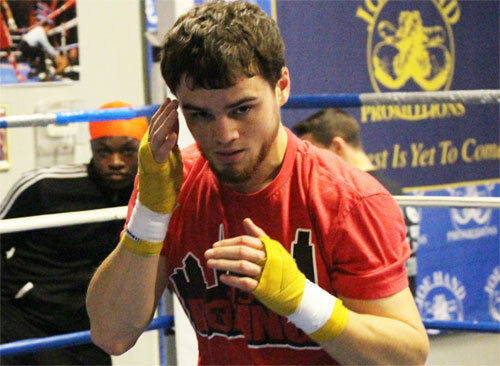 Carto has become a wildly popular rising prospect in Philadelphia after less than two years in the professional ranks. He’s already been headliner at a number of local boxing events, and was added to this giant show to spotlight his talent and to capitalize on his ability to sell tickets. Carto comes from a fighting family. His brother is his manager and was an outstanding amateur boxer himself. Their grandfather, Frankie Carto was a world-rated lightweight during the 1940s. Frankie, who passed away in 2005, fought world class boxers like Lulu Constantino, Chalky Wright, Phil Terranova, and Eddie Giosa. In addition, Christian’s uncle Nunzio Carto was also an excellent boxer. Uncle Nunz won three consecutive Philly Diamond Belt titles as an amateur before going on to a 27-2, 13 KOs, career as a pro in the 1940s. The youngest Carto boxer extends the family name into the modern era of the sport. 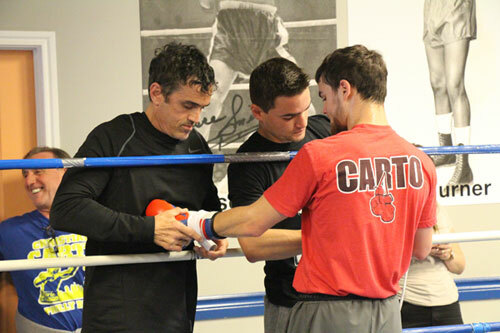 Like Jesse Hart, Christian Carto has the chance to take his family name further than ever before.